June of last year, House Speaker Paul Ryan rejected the idea of a Muslim ban, saying, "I do not think it is reflective of our principles, not just as a party, but as a country. And I think the smarter way to go in all respects is to have a security test, not a religious test. I do not think a Muslim ban is in our country's interest." Similarly, Senate Majority Leader Mitch McConnell slammed the idea of a ban, calling it "inconsistent with American values." Why are Ryan and McConnell rolling over for Trump? The assumption is it's because they want to appease him, and his whimsical way of doing business, until they get what they want from the bargain — that sweet, sweet tax reform, presumably. But they don't seem to realize that Trump, who fancies himself a master negotiator, isn't trying to cut deals with them. Instead, he's cutting them out of governance. This is really bad for America's constitutional system of government, but it's also a form of humiliation and a voluntary erosion of their power, political party, and institutional lifeblood. If they won't stand up to Trump for the sake of the American republic, maybe they'll do it out of self-interest and self respect. The biggest proximate question about whether Trump is overreaching his executive authority is his evident assault on the judiciary and an independent Justice Department. The president sacked acting Attorney General Sally Yates on Monday night for instructing Justice Department lawyers not to defend his executive order on immigration in court because Yates didn't believe it stood up to constitutional scrutiny, and it certainly appears that Customs and Border Patrol agents openly defied orders from federal judges, which would be an unacceptable trampling of the judicial branch by the executive branch. But there's evidence all around that Trump has no time for the legislative branch, either. Trump's millennial policy chief, Stephen Miller, and political strategist Stephen Bannon wrote Trump's executive order not only without consulting any top officials who would have to implement it but also with the help of immigration hardliners on the House Judiciary Committee staff, without the knowledge of Chairman Bob Goodlatte (R-Va.), Paul Ryan, or other House GOP leaders, Politico reports. The staffers were even reportedly made to sign nondisclosure agreements. Sen. Marco Rubio (R-Fla.) said Monday that Customs and Border Patrol officials had been instructed to not talk to Congress about the immigration order. Bannon and Miller, neither of whom required any vetting from Congress to serve as Trump's advisers, are writing domestic policy that verges on law and crafting foreign policy in what one intelligence official describes to Foreign Policy as "a cabal, almost like a shadow NSC" — though of course, Bannon was also formally elevated to the National Security Council principals committee, where he will outrank America's top military and intelligence officials. And if Congress ever wants to investigate what's going on in his shadow policy shop, too bad: According to Foreign Policy, Bannon is making sure there's no paper trail. None of this should come as a surprise — Trump was openly disdainful of politicians, including Ryan and other Republicans lawmakers, on the campaign trail, and his inaugural address included a big, cold middle finger to the political elite sitting behind him. 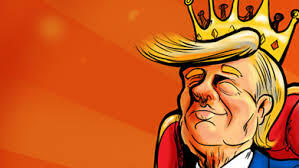 But the campaign is over, and a president who doesn't feel he needs a legislature or independent judiciary leads a government of men, not laws; he is more king than president. So, before this goes too far, Congress has to push back. Trump, according to his friends, needs and even likes pushback, and in any negotiation, you need something to put on the table. The legislative branch has the power to make law, of course, and the power of the purse. Trump needs money from Congress to build his Mexico border wall, and that could give Congress leverage — or at least it might have if Ryan hadn't already signed on to pass legislation to finance Trump's $14 billion (at the very least) wall in a supplemental spending bill this spring. But Congress has been in the habit of funding the government in giant omnibus bills at the end of the year, and there just aren't that many other laws Trump thinks he needs help from Congress on to Make American Great Again. There is always the threat of impeachment or invoking the 25th Amendment to remove Trump from power — the nuclear option — but they shouldn't pull out that weapon unless they are prepared to use it. Trump's approval ratings are terrible for a new president, but he's popular in many of the congressional districts House Republicans need to please. Still, there is one thing Congress can and should do immediately to grab some power back from Trump: Rescind the Authorization for Use of Military Force (AUMF) it passed in 2001, which is still granting congressional consent to U.S. military action in a swath of countries from Somalia and Yemen to Pakistan and Afghanistan. Former President Barack Obama asked Congress in February 2015 to rescind that authorization and give him a new, more limited mandate to fight the Islamic State (which did not exist in 2001), but Republicans balked, saying the draft Obama sent over was too constrained; Democrats said it was too open-ended. A year ago, McConnell said he couldn't imagine voting for a new AUMF for Obama because it might "tie the hands of the next president." Well, the next president is Donald Trump, and if Bannon is really running the NSC, he has broad power over life and death, claimed under the 2001 AUFM. If Congress still doesn't want its fingerprints on America's myriad fights against Islamist militants from Africa to South Asia, the House and Senate should reclaim some of their constitutionally mandated power to declare war and support an armed forces as a bargaining chip. Trump seems to care about bilateral trade deals, strong-arming companies to stay in the U.S., and fighting Islamist terrorism. Negotiating a new AUMF agreement deals with one of those three things, and it would almost certainly get Trump's attention and remind him that there are two other co-equal branches of government. If Congress forced his hand and rescinded the AUMF, would he go ahead and prosecute the battles in Syria and elsewhere anyway? Maybe — he certainly doesn't seem to mind setting up constitutional crises — but his secretaries of defense and homeland security are former generals, and it seems unlikely they would go along without an embarrassing fight. If using war and peace as leverage is too risky a proposition — never forget the "fiscal cliff" debacle — there's always money. As things stand, however, it's pretty clear that Trump is setting the agenda and Congress is constantly playing catch-up. It's Trump's Washington, and Republicans are just staffing it. For a Senate institutionalist like McConnell, that must be galling. And it should be. What is odd about this executive overreach is that Trump's party controls both houses of Congress. Obama did not start relying on executive power, at least on the domestic front, until Republicans took over the House and then the Senate and refused to negotiate with him. Newt Gingrich, a Trump insider who once taught college history, told Politico that while the new president may have botched the rollout of his executive orders, it's just because the White House is "understaffed and Trump is impatient," adding: "I think some of this stuff is they're learning how to roller skate. They can't understand in advance, they have to do it for the first time." Congress needs to step up and remind the president to stay in the rink. The consequences if they don't are almost too serious to contemplate.